Hi, I’m Gabby, our new School Mayor. I’m excited to be Mayor because I’m going to change the school by having more fundraisers to get more equipment for the playgrounds. My aim is that all Grange pupils can be fit and healthy. 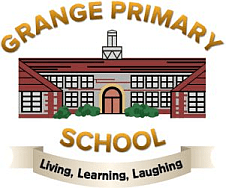 With our school council team, we are trying to help promote Grange’s Living, Laughing, Learning philosophy and anything which will make learning fun. I am also a young sports ambassador, so I know many games and activities to keep us energised. With the help of Ellie, Eleanor and Abi, the year 6 senior councillors, I will do my best to be a mayor who will be remembered for making our school a better place.